Christmas is looming on the horizon and it is that age old battle of what do we get for our nearest and dearest. Well on 6th December the wonderful MoochiMoo will have a pop up shop within Christos to bring you some truly beautiful clothing and accessories that you will not find on the high street. So whether you are looking for a stunning sweater for yourself or a cosy hat to beat the winter winds, pop in and take a look at the collection. Of course we will also have all our beautiful haircare and gents grooming giftsets available too, with some wonderful special offers. This is the beautiful work recently created by Lucy our graduate stylist. Lucy has been with us at Christos for 2 years now. If you want balayage Lucy is the stylist for you. Favourite hair product: Moroccan oil root boost and Wella hydrate mist. 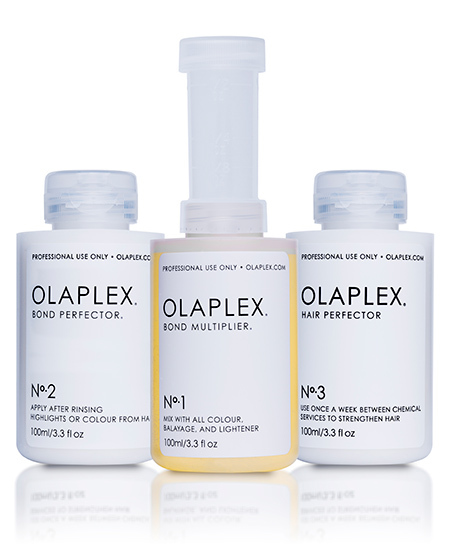 Olaplex this is a brand new innovation which has just in from the U.S.A, with only 10 salons in the UK, north of London we are the only store who sells this amazing product. We had carried out nearly 40 treatments within the first week of receiving Olaplex in store, and the results we have seen in our customers previously damaged hair are just amazing! In the Christos Salon during usage we have witnessed that Olaplex strengthens hair which has been weakend by the constant colouring, bleaching, highlights, and chemical straightening services which we tend to use today. It has provided our customers with amazing results! During use it rebuilds the broken down bonds in hair that has been damaged, leaving the hair in a virgin state, used alongside Keratin treatments and as an addition to styling ranges like Morroccanoil, it is a fantastic, reasonably priced salon service, £15.00 per application. In the Christos Salon we are also using the Olaplex on hair that has been growing back from Chemotherapy, as the protein bonds in new hair growth have also been disrupted we recommend the patient being post Chemo treatments for at least 6 months. Put simply it makes fragile hair Stronger, healthier, and helps stop coloured hair fading. Olaplex is not tested on animals, and is free from silicone’s, oils, aldehydes and parabens. We do require a consultation first and a colour skin test 48 hrs prior to any new color service. 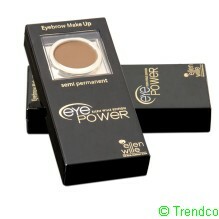 Patienthaircare.com recently announced a new product called Eyepower, which is a semi permanent brow shadow. It is great for all customers whose eyebrows have become thinned, have come out or have been removed. It is also ideal for chemotherapy patients who have suffered complete loss. The Eyepower makeup comes in 5 great natural colours Black, Brown Charcoal, Dark Brown, Irid Brown which is a red based brown and has a very nice effect. Eyepower contains an amazing mineral content which makes this a fabulous product which will not come off when sweating, of with the use of water, but it can be easily removed with normal eye make up removal pads or your typical liquid remover. Christos Salon and PHC offer full training and guidance on how to use this amazing new product which available In Store Today. For more information on how to place an order please visit the PatientHairCare website. 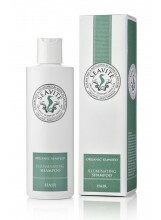 Patienthaircare.com recently announced the Seavite Shampoo, which is an essential treatment for all clients who may be under going Chemotherapy/radiotherapy or other cancer Treatments. It is also ideal for all customers who suffer from super sensitive scalps. The Seavite range was developed by Dr. Jane and Dr. Katherine the daughters of Seavite’s founder who continue to research & develop new & innovative skincare products such as the Seavite Shampoo Range and the SEAVITE Hydrating Anti-Ageing Lotion. Recently the Irish Sea has delivered the required Organic Seaweed which is a key ingredient needed to make more of the Seavite Range Shampoo, Christos Salon has recently received 200 units of this amazing shampoo which is available in Store Today! So many of us are told we have to suffer in silence about the issue of hairloss and hair thinning, nothing could be further from the truth. There are many solutions to female pattern baldness, thinning hair and fine hair, the most important thing is to take the first step and seek the advice of a professional. At Christos one of our most popular service for fine thinning hair involves using a system from Banbury Postiche, the oldest wig making company in the UK. The Postiche Lite Volumiser has been extensively tested on clients with fine thinning hair and hair loss problems. The finest quality eurotex hair is used in the construction of these hair pieces, they are ultra light to wear and easily integrated with natural hair. Our clients have been thrilled with the results, they have had lots of compliments about their hair and their confidence has been restored. The Postiche Lite Hair Volumiser is made using the finest silk bases which ensure the most natural look and allows the scalp to breathe and keep the head cool. The hair has a natural wave and can be blow dried and straightened. Heated rollers can be used and the hair is easy for a professional stylist to cut and style. The first step is an in depth consultation with our fully qualified stylists who are experts in the area of hair replacement. We carry out some non invasive tests on the hair and look at all possible solutions. Sometimes the client just might need a creative hair cut or a different colour to disguise the hair thinning. All our consultations are carried out upstairs in our private salon and they are free of charge. When we choose the Postiche Lite Hair Volumiser for the client we get a colour match and rebook the client in. We get just as excited and apprehensive as the client on their fitting day. We prepare the clients hair and fit the Volumiser into place. It is not harmful to the hair, the client cannot feel anything, it is light and easy to maintain.The results are continuously amazing and the excitement ripples through the salon with everyone wanted to come and have a look. The system is worn 24/7 by the client, it is comfortable to sleep in and easy to wash. The client returns to the salon on a regular basis for us to remove the Volumiser, clean it, re-style the clients hair and re-fit the system. Please do not carry on worrying or just living with your hair loss or hair thinning problems. Call us and book a free consultation. This system is affordable and easy to maintain, it will dramatically improve the density and volume of your hair and give you more confidence.